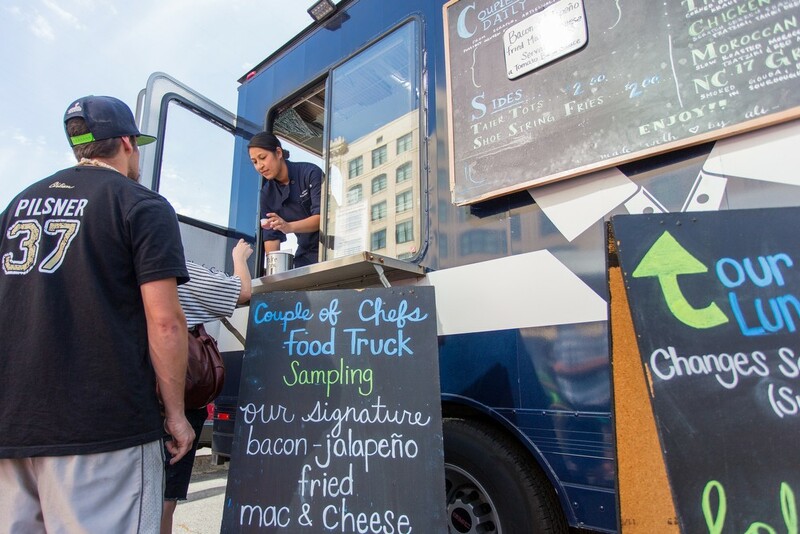 The first Food Truck Palooza showcased the food, deserts and beverages of 18 different vendors. A entry ticked allowed anyone free samples from all of the vendors. Dj Mayhem entertained fifteen hundred ticket holders and a beer garden was not far away for those of age. 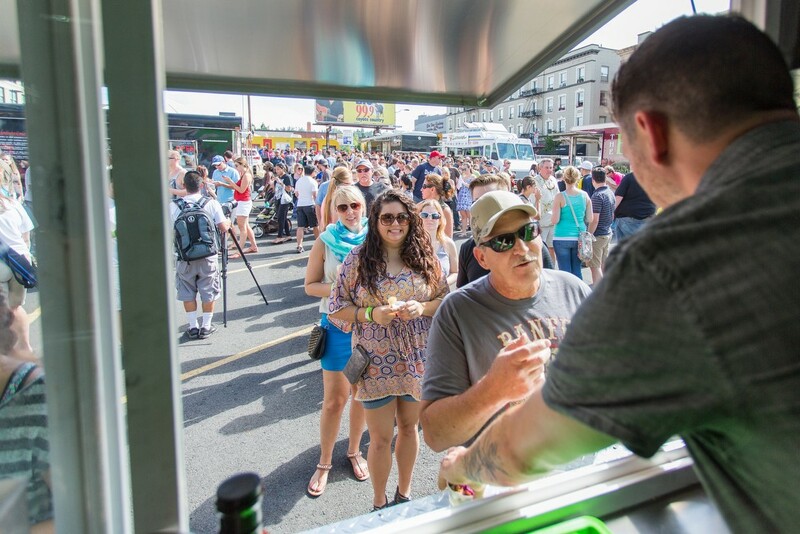 Fifteen hundred people gather in the parking lot just west of Luigi's Restaurant for Food Truck Palooza. 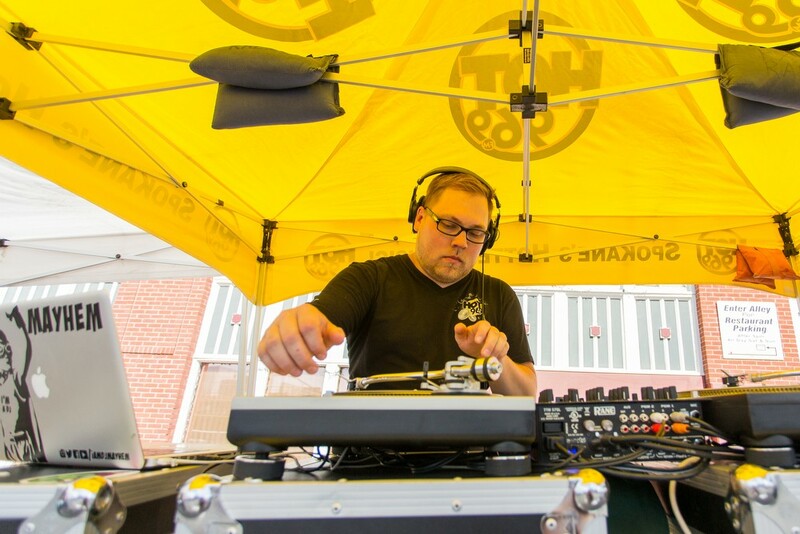 DJ Mayhem, a DJ of 12 years, plays for the crowd at Food Truck Palooza. 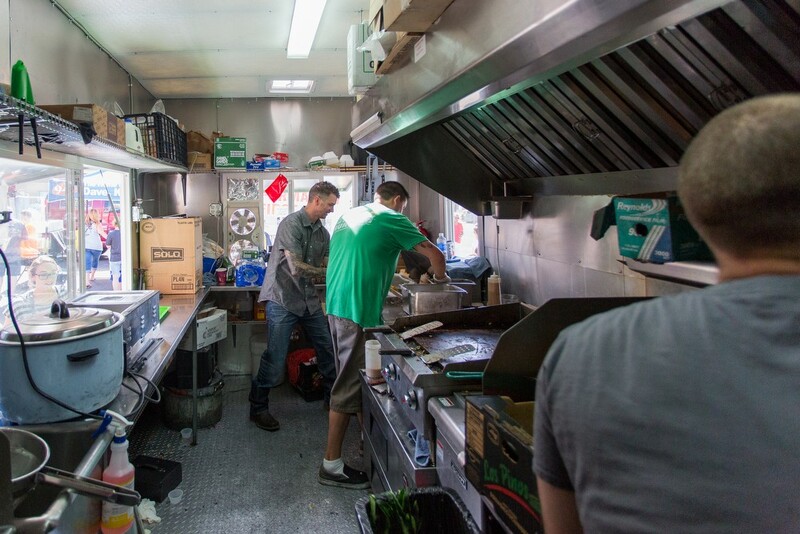 Steven Kitchnes, left, Mike Anderson and Tymen Hofmann of Three Ninjas work quickly to prepare food for hungry customers at Food Truck Palooza. Phil Conway. left, speaks with Steven Kitchnes of Three Ninjas at Food Truck Palooza. 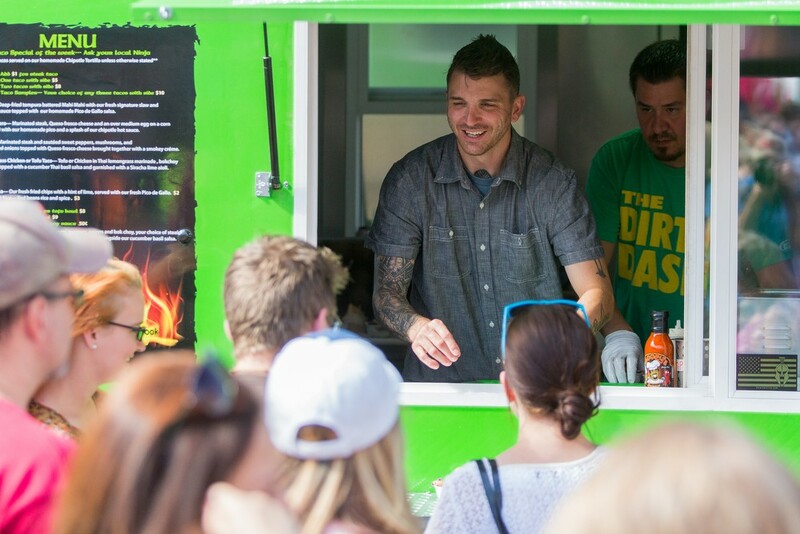 Steven Kitchnes speaks with customers at Food Truck Palooza. 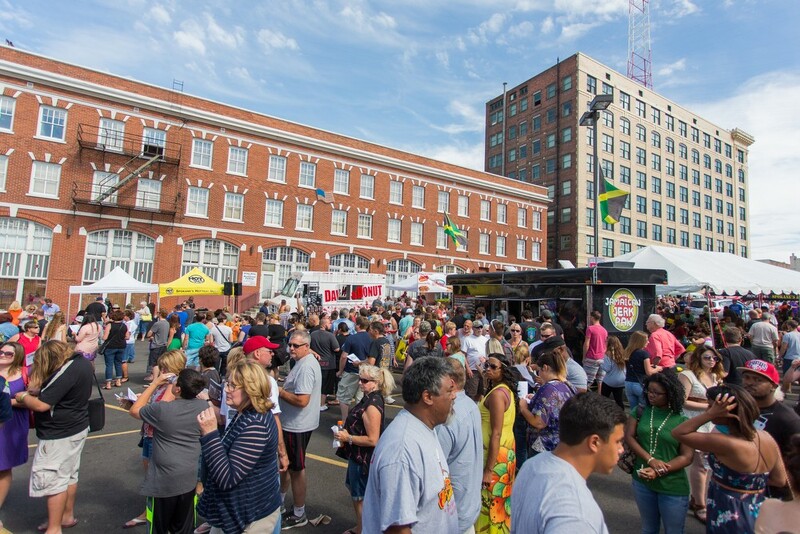 Food Truck Palooza featured 18 different vendors. 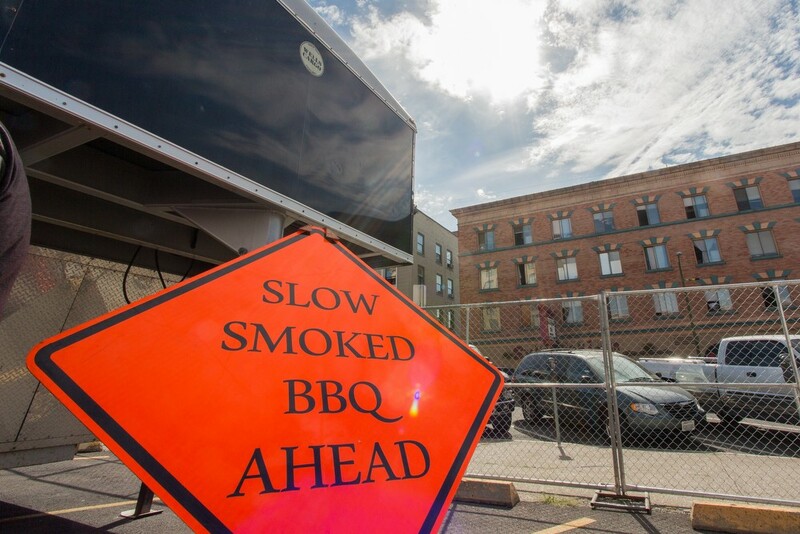 Alex Kokkoris, left and Rebecca Circkman get pulled pork from Nordic Smoke at Food Truck Palooza. 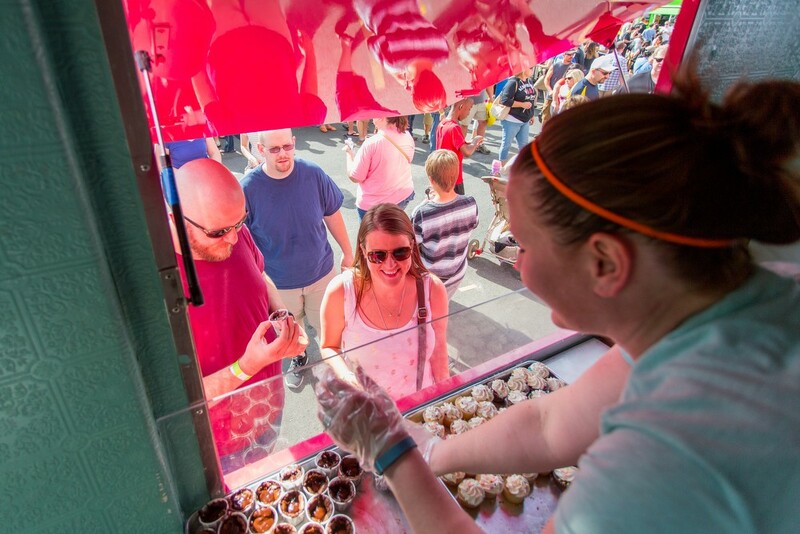 Andrew, left, and Elizabeth Sibulski order brownie bites from Love at First Bite at Food Truck Palooza. 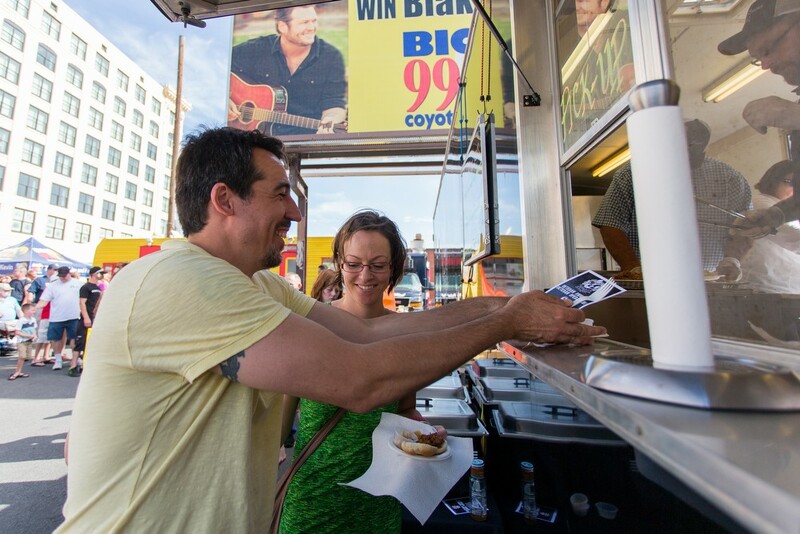 Joile Fomal, left, hands fried Macaroni to a customer at Food Truck Palooza. 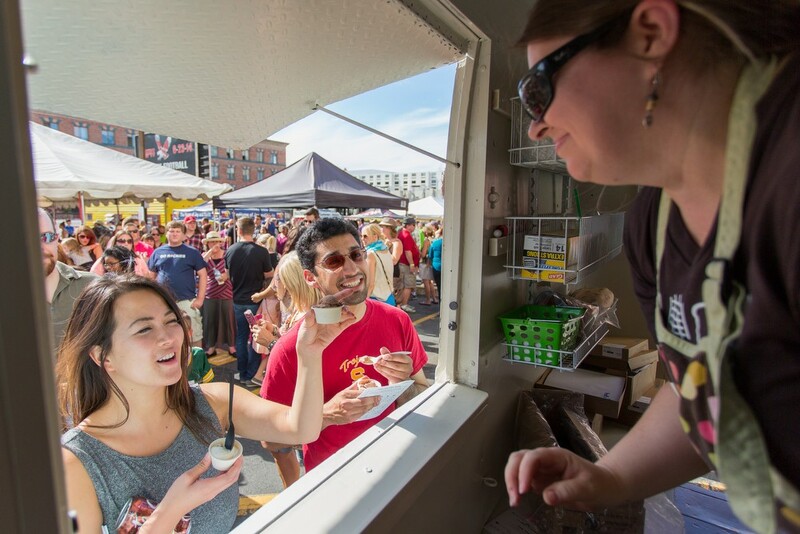 Frances Wang, left, and Shawn Chitnis order ice cream from Jennifer Davis, owner of the Scoop at Food Truck Palooza. 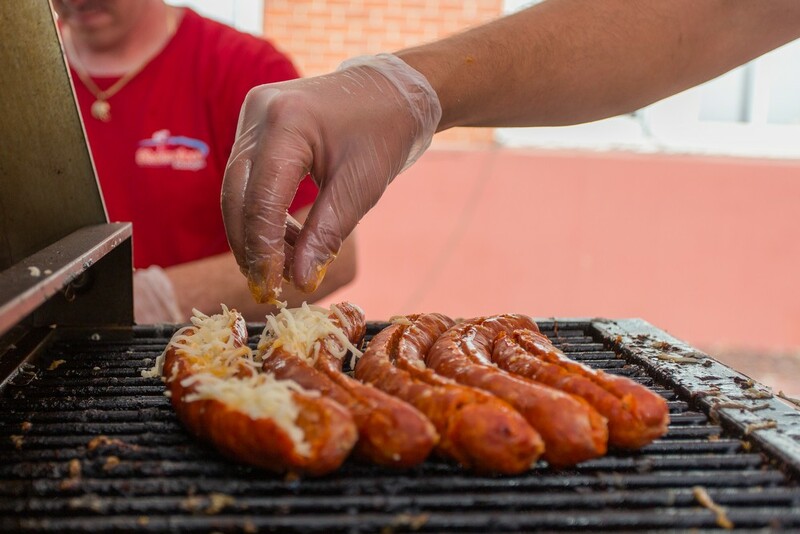 Nick Bokarica, co-owner of Shameless Sausage, stuff cheese in sausages at Food Truck Palooza.